If you recall my introduction, the golden rule for playthrough number two was that I would make every decision as I would in real life. I am Commander Shepard. Or not. Originally, I considered wooing Lt. Ashley Williams. However, her space racist act quickly wore thin. A highly competent, attractive racist might be attractive, but a highly competent, attractive racist is also racist. Not happening. 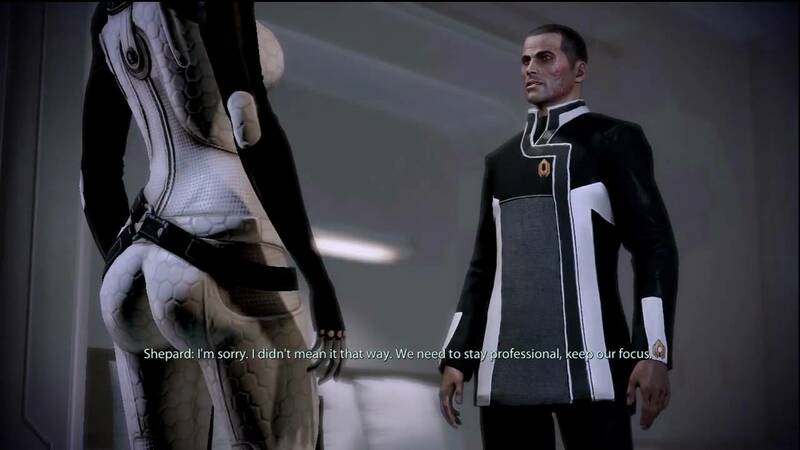 So, my Commander Shepard made his moves on Dr. Liara T’Soni, just like my original playthrough. But, as Mass Effect 2 started, I found myself drawn back to Miranda Lawson. I went into round two determined to make Commander Shepard my avatar. My assumption was that this would lead to different results than my first playthrough. This, however, was rather foolish when one of the romance options is the brunette version of my no-longer-secret crush. In the end, things worked out. I stayed professional with Miranda. I played the Shadow Broker DLC earlier than the first time, reigniting the flame with Liara. And I kept this quick hitter from deteriorating into a creepy Yvonne Strahovski-fest or from bogging down into an exploration of sexism in video games. I went into my second playthrough with the expectation that things would be different. It wasn’t, mostly. I guess I did a better job playing as myself than I thought. This entry was posted in Video Games and tagged Compromise of 1850, Mass Effect, Mass Efflections, Space Racism, Yvonne Strahovski by Rites of Patches. Bookmark the permalink.